Safety and precision go hand in hand with our professionally administered, highly effective laser treatments, whether performing laser resurfacing or laser hair removal. Our La Jolla, San Diego based SK Clinic and Medical Spa combines advanced science with artistic skill as we rejuvenate the skin, remove unwanted spots, eliminate hair, and bring baby smoothness back to your skin. Each medically supervised laser treatment is designed to provide maximum results with no down time. Aging, the environment, and genetic factors can bring on unwanted imperfections in the skin like rosacea, birthmarks, unwanted hair, brown and red hyperpigmentation, broken capillaries, and small veins. We use proven laser resurfacing techniques at our La Jolla, San Diego area center to help you erase these blemishes and give you the smooth even skin of your dreams. IPL, or intense pulse light, is an excellent, non-invasive technique, which removes rosacea, broken capillaries, and hyperpigmentation on the face, neck, legs, and even hands. The laser source focuses on the pigmentation changes in the skin. An added benefit is that it tightens the collagen, resulting in a more youthful looking skin with improved texture. All this without any downtime! 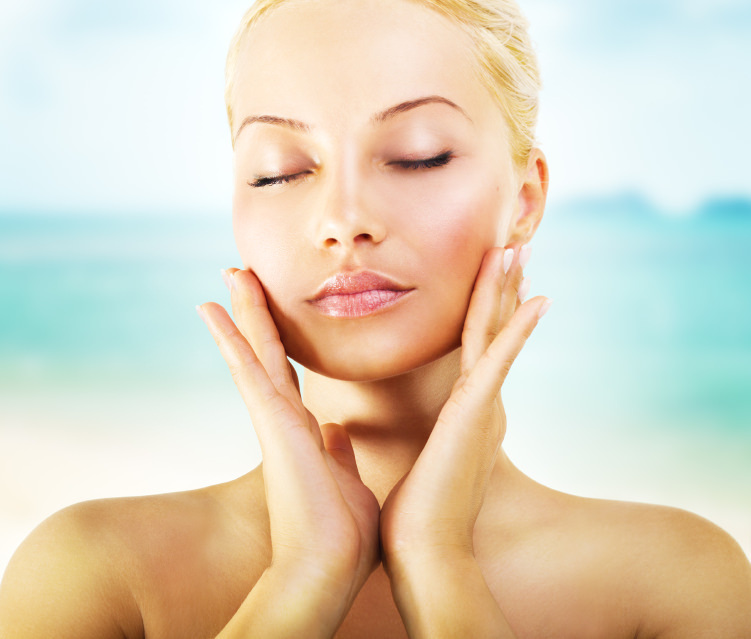 Our specially trained laser nurses perform IPL in a series of treatments over several months at SK Clinic. This innovative technique performed at SK Clinic uses revolutionary pulsed light technology to rejuvenate the skin with virtually no down time. Experience a series of full-face, décolleté, or hand treatments to eliminate redness, broken capillaries, or brown spots and reduce fine wrinkles and enlarged pores. Medical conditions such as rosacea, flushing, telangectasias, and melasma can be treated on any part of your body. This is a relatively easy procedure to recover from. The treated areas are slightly swollen and pink for one to two days. Many patients are able to return to normal activities and work the following day. It is important to avoid sun exposure after the treatment, so wear your sun block. If you desire to achieve improved tone, texture, and color of you skin and lightening of of brown spots, Fraxel re:store may be the treatment for you. There is very minimal skin tightening, although the crow’s feet area lateral to the eyes seems to show good improvement. Your overall appearance is fresh, rested, and younger looking. Fraxel re:store laser treatment requires a series of treatments (from 3 to 5) separated by 2-3 weeks each. Fraxel re:pair treatment uses fractional technology. As an ablative procedure, Fraxel re:pair treatment uses a carbon dioxide (CO2) laser to vaporize microscopic columns of tissue deep within the skin. Fraxel re:pair treatment, performed by our Plastic surgeons is a more aggressive procedure and is used to treat the most severe signs of skin damage. Results are achieved in 1-2 treatments and wound care recovery time (usually 24-72 hours) is generally longer than other Fraxel treatments. To speed up the healing process from laser resurfacing at our La Jolla center, we administer oxygen treatments along with topical vitamins and minerals daily for five days. This speeds up the healing process, reduces excess reddening of the skin and makes this procedure comfortable, predictable, and safe. In as few as ten days, you will be able to apply make-up again! SK Clinic uses the latest technology in laser hair removal at our La Jolla, San Diego area center. SK Clinic’s laser hair removal procedure is quicker and more effective than ever with the use of modern equipment that can cover larger areas. Areas that are typically targeted include the face, neck, back, armpits, bikini lines, thighs, and legs. And laser hair removal works for men as well! For best results, multiple treatments performed by our highly trained laser nurses will be necessary to ensure hair follicles are treated at their different growth phases. 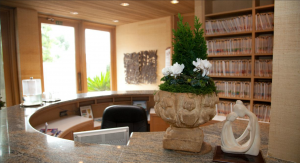 Contact our offices for more information about laser hair removal, in La Jolla, San Diego today. ALA Photodynamic therapy is a non-invasive, painless technique that treats acne and actinic keratosis with wonderful results. Research has shown that ALA is very successful in 80 percent of patients with acne and completely clears up actinic keratosis in nearly 70 percent of patients. This technique has also been found successful in the treatment of sun damage, rosacea, hyperpigmentation, and reducing fine wrinkles. In addition, the quality of the skin is improved by decreasing redness and creating smoother skin with smaller pores. This therapy uses a topical, photosensitizing agent called ALA (5-aminolevulinic acid) that is activated by a specific wavelength of light. ALA Photodynamic therapy can treat the face, neck, chest, shoulder, back, arms, and hands. The number of treatments varies with each case, but several treatments are generally required and are spaced out three to four weeks at a time. Contact our offices for more information about these and other procedures.